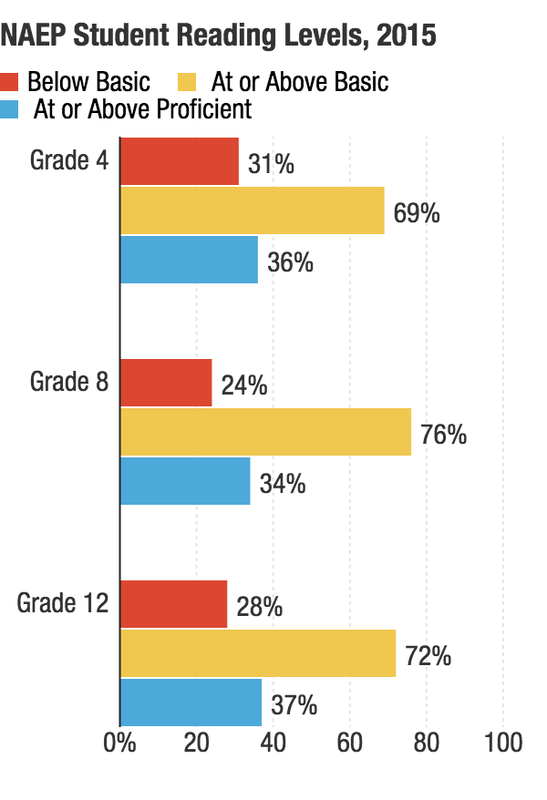 The National Assessment of Educational Progress assesses student performance in reading at grades four, eight and 12 in both public and private schools. Achievement levels define what students should know and be able to do: "Basic" indicates partial mastery of fundamental skills, and "proficient" indicates demonstrated competency over challenging subject matter. Seidenberg is a cognitive scientist and professor at the University of Wisconsin, Madison. In his latest book, Language at the Speed of Sight, he points out that the "science of reading" can be a difficult concept for educators to grasp. He says it requires some basic understanding of brain research and the "mechanics" of reading, or what is often referred to as phonics. I talked with Seidenberg about what it will take to improve reading instruction. Our conversation has been edited for length and clarity. So how do you explain this to teachers? Success in reading depends on linking print to speech. 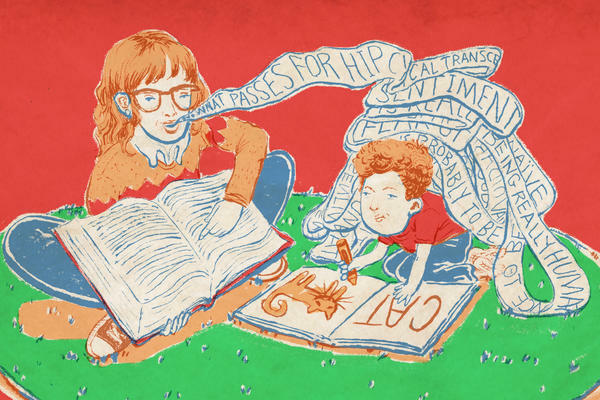 There's a massive amount of behavioral research, neuroimaging research, on brain organization and brain development, which conclusively shows that skilled reading is associated with children's spoken language, grammar and the vocabulary they already know. It's about teaching kids the correspondence between the letters on a page and the sounds of words. And you're saying that teachers don't know this? This basic science does not go into the preparation of teachers. More often they're told it's not really relevant, that the science is sterile and has no connection with what teachers do in the classroom. What I point out in the book is that in order to grasp the research, [teachers] need basic scientific literacy to be able to understand it. They can dismiss [what I'm saying] or they can share my outrage. Is that the reason you wrote Language at the Speed of Sight? Outrage? I was motivated by accumulating frustration. I've reviewed the science of reading and documented how little impact it has had on educational practice, and I think this is bad. It has put kids at risk for failure. Reading scientists have been talking about this for a long time and tried to communicate with educators and failed. We have not been able to get the science past the schoolhouse door. In your book, you wade into the reading wars and argue that the debate over phonics vs. whole language is largely to blame for the poor reading skills of American students. But you say it's not a question of "either/or." Kids need to be exposed to great books and rich literature and they need to know the symbols and sounds of letters. Where are we on that front? The reading wars are over and science lost. Phonics is just one specific component of learning to read that's important at a particular point in a child's development. The reading wars did not focus on this, so the conflict was set up in a bogus way. You say the conflict has been political. The political solution was called "balanced literacy," which called on teachers to use the best of both approaches. But it left it up to teachers who had been trained to dismiss phonics and brush off the science. One interesting recommendation you offer is that college graduates who sign up for Teach for America be hired not as classroom teachers but as an army of reading tutors. Yes. They could be trained to provide supplemental reading instruction, one-on-one or in small groups. That's what wealthy people do. They pay for tutors. Poor people can't. So I would say yeah, put more people in the classroom or after-school programs who focus on reading and language. This would be helpful. What about legislation like what Michigan passed recently that prohibits schools from promoting third-graders to the fourth grade unless they can read at grade level? Educators have been supportive of the new law but say the funding for it is sorely lacking. Do you think such a mandate is a good idea? I don't think its a good idea if they merely passed a law that says, "You better read." That's punishing the kid. There have to be programs and investments to support teachers, students and parents. You insist that the training and credentialing of teachers is also inadequate, and you single out colleges of education. It's clear that ed schools are setting teachers up to fail. [The teachers are] plopped in the classroom to learn on the job because the ideology in ed schools is a "learning by doing" philosophy. I think it's really a mess. At the end of your book you recommend that schools of education overhaul the curriculum to make sure newly minted teachers leave with a basic understanding of linguistics and child development. You say states must change their teacher-licensure requirements. And, finally, you want school districts to vastly expand tutoring for children who are struggling to read. Yes. It's necessary to get all these folks on board. And indeed, one could see how parents and community leaders would also get on board. I don't pretend to know how to approach them. What I can do is explain how reading works, how children develop and how we can teach children to read better.